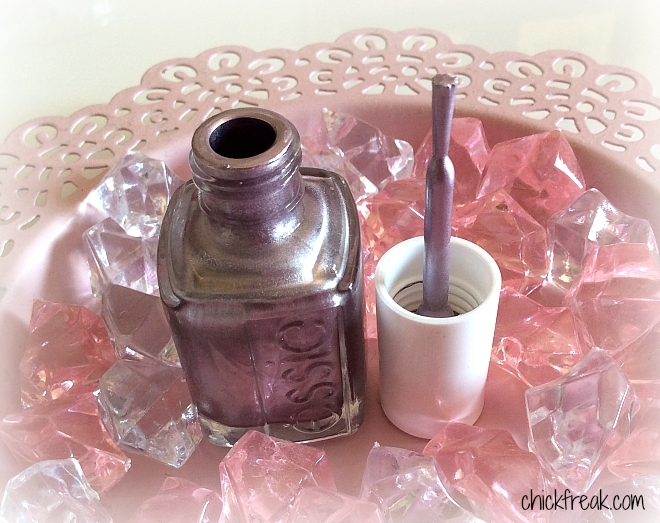 It’s time to review another Essie nail polish. You already know how much I love their nail polishes and that’s why I like to review them so much and take all these colors they have because I think they’re really something special. 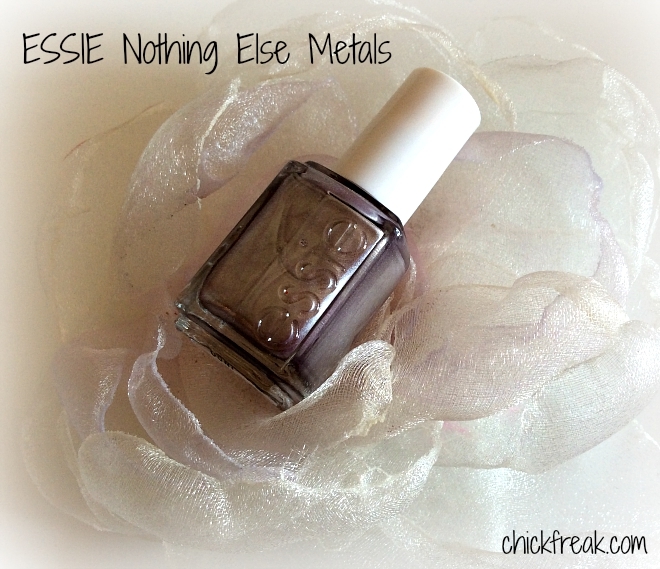 Essie Nothing Else Metals comes in the standard Essie nail polish amount of 13,5 ml, with the expiration date of 24 months. 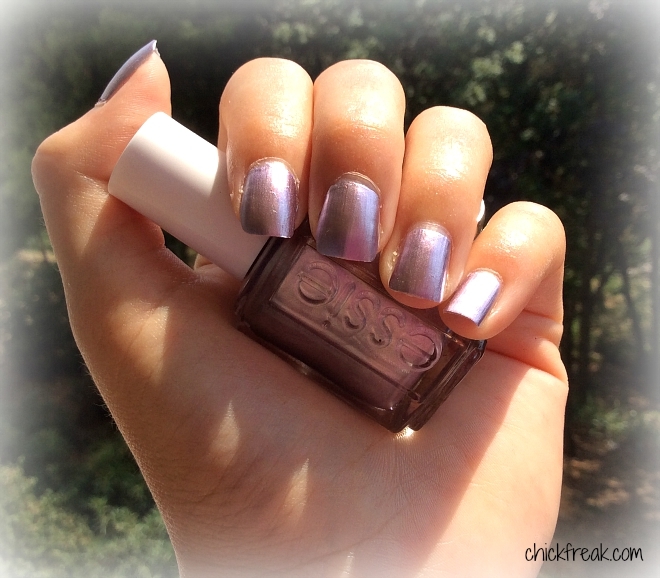 This nail polish is a part of the Mirror Metallics collection that is no longer available in our stores but you can buy them on eBay with the seller beautyzone2007. You don’t have to be scared that this is maybe a fake product because I’ve been buying from this seller for a long time now and I never had any problems. And also the polishes are more than twice cheaper and they arrive to your address within 10 workdays. 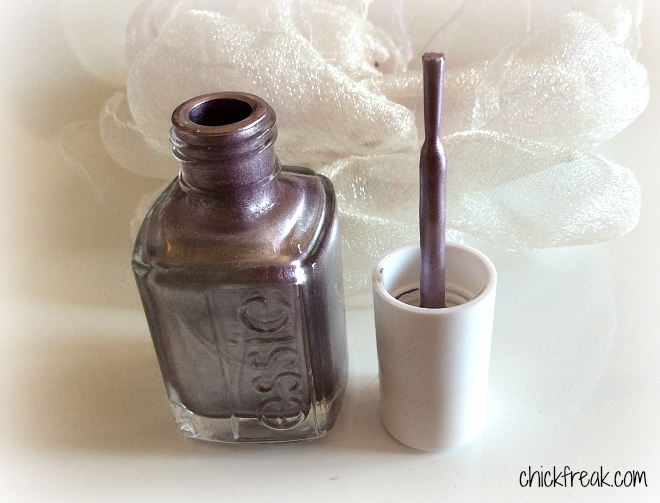 Essie Nothing Else Metals is a beautiful silver metallic lavender shade. I think it’s a true chameleon so the true color of this shade was hard to catch on the photos and in the end I managed to do that the best in my apartment so you can actually see also that lavender color in this nail polish. I’d also recommend that you also put the top coat on it so you get an even better effect. The nail polish then has such a nice gloss that you can’t stop looking at it. On the photos here I don’t have the top coat on my nails over this nail polish. The brush is thin, but extremely easy to handle. One layer of the nail polish is enough to fully cover your nails, but I always put two more out of a habit. When you apply this nail polish you don’t have problems with those unwanted lines like you get with some other nail polishes. Drying is extremely fast. I got the feeling this one actually dries a lot faster than all the other nail polishes. When you finish with the applying the nail polish on the last nail of your hand, the first nail you did is already dry. What’s negative with this nail polish is its durability and in my case it showed as a really bad. On my nails it didn’t hold for even full two days and then it starts to peel off and it looks really bad. And I don’t have time to apply a new layer of nail polish every two days so I’m using this one a bit less frequent than the other Essie nail polishes I have. I would really recommend the top coat polish because then it’s going to last for at least 3 – 4 days. All in all, this is really a beautiful and special color, maybe the most special I have in my collection. But because its durability is weak point it’s a bit less in the flow. PS. I did my nails so fast that they don’t look on their best and I’m apologizing because of that. 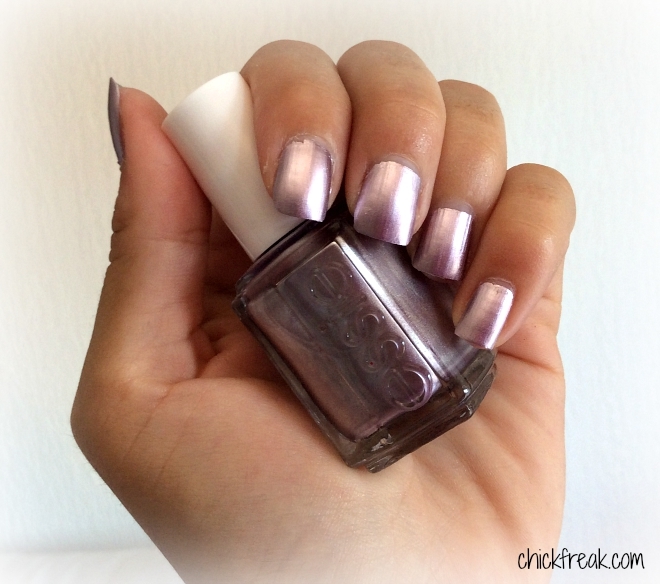 How do you like these metallic shades? 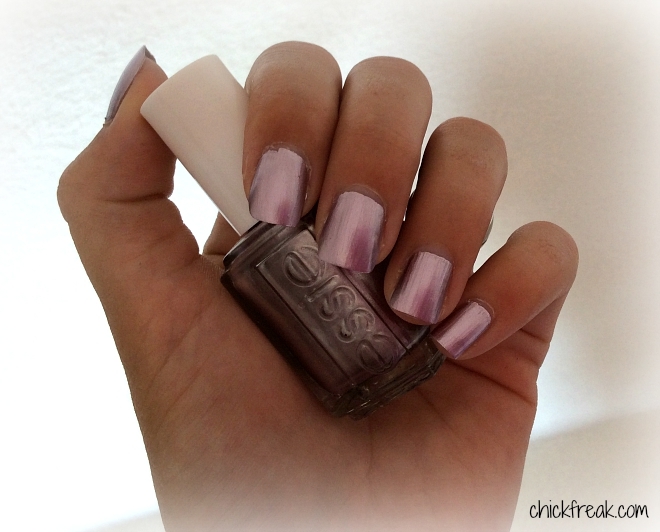 What is your favorite Essie nail polish color?